"Just wanted to give a huge THANK YOU to the ladies hockey team at Franklin High School Franklin High School (Massachusetts) for their efforts today. It was so much more to my family than clearing leaves from the yard. It was a gesture that will not be forgotten and we want everyone to know how appreciative we are. My sister-in-law lost her beloved husband to cancer recently and the team showed up today and cleaned her entire yard. What an amazing act of kindness to a local family going through a tough chapter in life. Be proud that your timely help brought some light to an otherwise dark time. Your biggest new fans are the O’Neill family and when you step onto the ice this hockey season, know you have a new guardian angel, his name is Kevin! On behalf of Beth and her family, Thanks!" 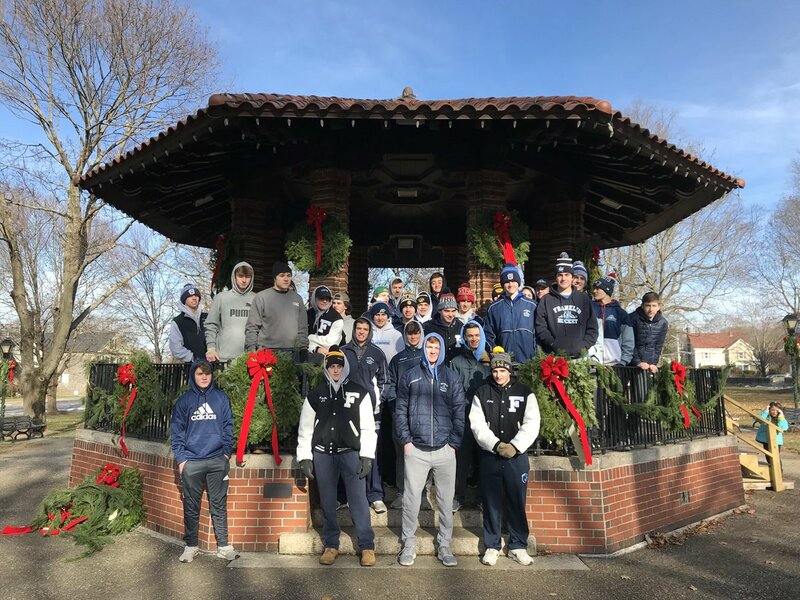 "Concerts on the Common would like to thank the Franklin boys hockey team and their parents for helping to decorate the Common for Santa’s arrival tomorrow at 4 PM."